CARON the house moved in 1904 in the world of Haute Parfumerie. 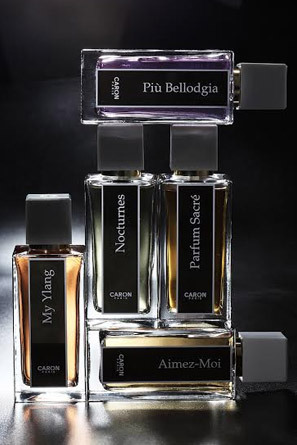 Avenue Montaigne Caron fragrances showcase worldwide at Faubourg Saint Honoré in Paris via London and New York, CARON permeates all the high places of luxury, its mythical fragrances. In the privacy of its shops, CARON hides a secret scent reserved for the privileged, special collection: Montaigne, named to the prestigious Avenue crossroads of elegance and refinement. Its floral oriental releases the brilliance of the bouquet of yellow flowers mixed with exotic woods and balms.